HUNTERSVILLE, N.C. – Xtreme Concepts Inc., a leader in turnkey security solutions, has expanded its partnership with Joe Gibbs Racing. Xtreme Concepts will sponsor Jeffrey Earnhardt, Kyle Busch and Brandon Jones across 24 NASCAR Xfinity Series races this season. iK9, a comprehensive canine solutions provider for detection and service dogs administered by Xtreme Concepts, will be the lead brand. Last November, Xtreme Concepts announced a nine-race sponsorship of Earnhardt in JGR’s No. 18 Toyota Supra. His first Xfinity Series race will be the season-opener, Feb. 16 at Daytona (Fla.) Int’l Speedway. The fourth-generation Earnhardt will return to the No. 18 iK9 Toyota Supra Feb. 23 at Atlanta Motor Speedway, April 27 at Talladega (Ala.) Superspeedway, May 25 at Charlotte (N.C.) Motor Speedway, June 1 at Pocono (Pa.) Raceway, Aug. 10 at Mid-Ohio Sports Car Course, Aug. 24 at Road America in Elkhart Lake, Wis., Nov. 9 at Arizona’s ISM Raceway and Nov. 16 in the season finale at Homestead-Miami Speedway. Busch, the winningest driver in Xfinity Series history with 92 victories, takes over the No. 18 iK9 Toyota Supra in five races this season. 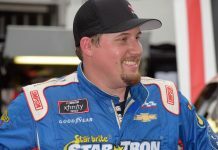 The 2015 Monster Energy NASCAR Cup Series champion will drive March 2 at Las Vegas Motor Speedway, March 9 at ISM Raceway, March 16 at California’s Auto Club Speedway, March 30 at Texas Motor Speedway and Aug. 3 at Watkins Glen (N.Y.) Int’l. 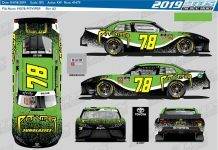 Jones, who is coming off a career year in the Xfinity Series with 17 top-10 finishes and a playoff berth, will carry the colors of iK9 on the No. 19 Toyota Supra in 10 races, starting April 27 at Talladega (Ala.) Superspeedway. After that, Jones will also fly the iK9 colors on May 4 at Dover (Del.) 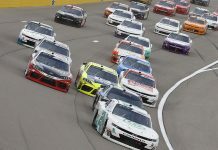 Int’l Speedway, June 8 at Michigan Int’l Speedway, June 16 at Iowa Speedway, July 20 at New Hampshire Motor Speedway, Aug. 3 at Watkins Glen Int’l, Aug. 24 at Road America, Aug. 31 at Darlington (S.C.) Raceway, Sept. 7 at Indianapolis Motor Speedway and Nov. 2 at Texas Motor Speedway. 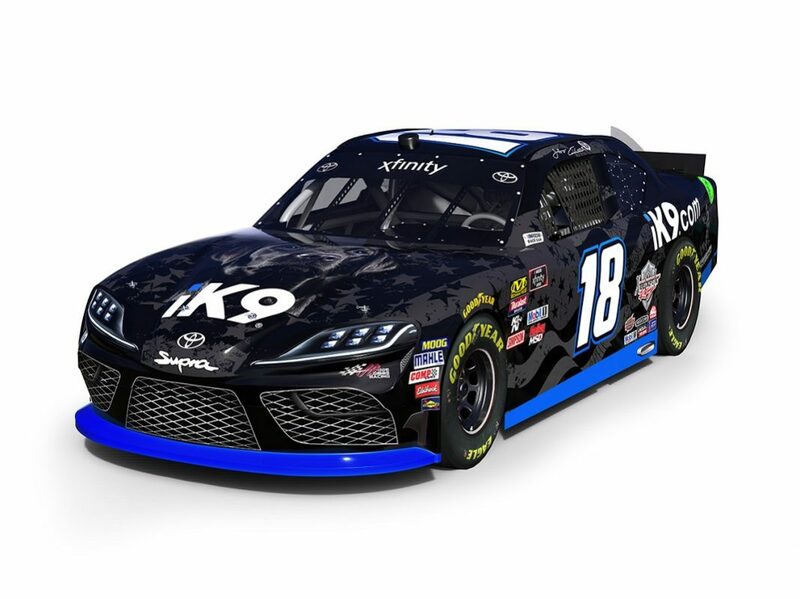 “We are firm believers in the power of motorsports as a marketing platform, and it’s why we’ve expanded our partnership with Joe Gibbs Racing to promote the iK9 brand for the majority of the Xfinity Series schedule,” said Landon Ash, founder of Alabama-based Xtreme Concepts. “We’re investing in young talent in Jeffrey Earnhardt and Brandon Jones, and also proven talent in Kyle Busch. These three personalities can deliver for iK9 on the racetrack and interact with our customers off the track.